This rare floor lamp was designed by the iconic Vico Magistretti in 1973 and produced by the manufacturer O-Luce in Italy. 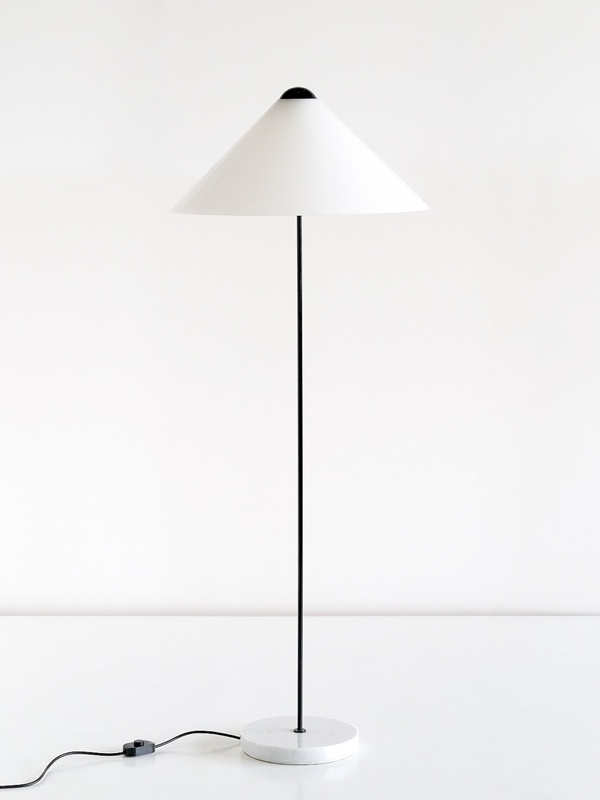 The floor lamp is from the ‘Snow’ series and was only in production for a short period. 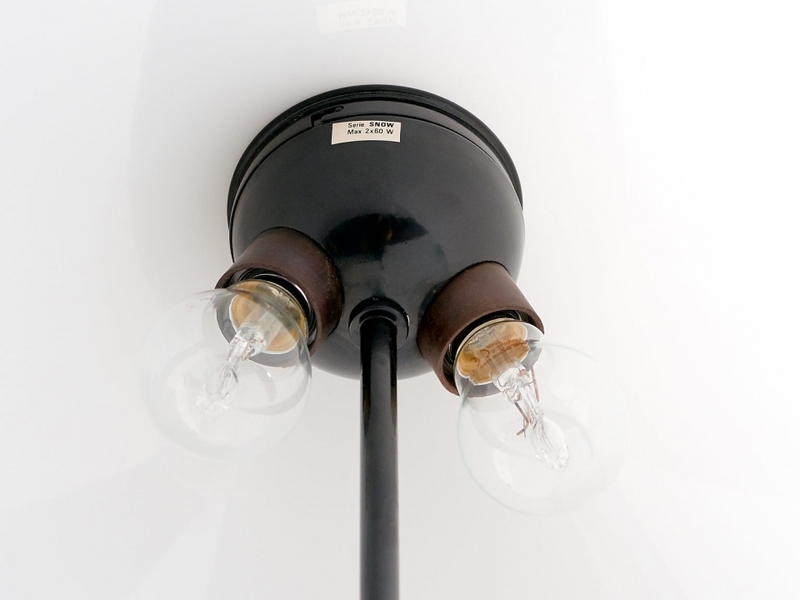 The lamp has a semi transparent white perspex shade, which rests on a black ball with the two light bulb holders integrated. The large shade offers a striking contrast with the thin steel stem and the white Carrara marble base.